Following yesterday’s widespread crypto market plunge, most major cryptocurrencies have bounced slightly today, but they are still down significantly from where they were a week ago. The market’s recent volatility has led Tether, the largest stable coin by market cap, to briefly overtake EOS to be the fourth most valuable cryptocurrency by market capitalization. Today’s bounce in the markets was not unexpected, and many analysts had previously speculated that they were oversold. Yesterday, most cryptocurrencies dropped at least 5%, with many plunging over 10%. This drop was the direct result of Bitcoin’s inability to maintain above its support region that previously existed around $3,550, which led the cryptocurrency to drop to $3,400 before finding support at this price and climbing slightly. Today, Bitcoin was able to hold steady above $3,400, which has allowed most cryptos to surge and recover a portion of their recent losses. Although today’s market surge is certainly positive, it wasn’t all that unexpected, as Mayne, a popular cryptocurrency trader on Twitter, noted yesterday that he expected most major cryptocurrencies to bounce today, but bearishly adding that he would be shorting them on their way back down. “Expecting a bounce across the board to catch some late shorters. Opening some margin longs on $btc $xrp $eth and will look to short all 3 back down,” Mayne explained. Other analysts have shared a similarly bearish sentiment in the near-term, with Alex Krüger, a popular economist on Twitter, noting yesterday that Bitcoin’s break of its support level is decidedly bearish. There’s absolutely nothing bullish neither technically nor fundamentally for bitcoin and the main crypto assets. Bitcoin broke support overnight and has shown no signs of exhaustion. Charts are decidedly bearish. Longs = scalping against the trend. The recent market drop has led many traders to seek safety from the volatility by moving funds into Tether (USDT), which briefly overtook EOS to be the fourth most valuable cryptocurrency by market cap. In the time since, Tether has fallen behind EOS and is currently behind its market cap by under $30 million. Mati Greenspan, the senior market analyst at eToro, discussed Tether’s climb by market cap in an email today, noting that it is neither bullish nor bearish, but rather an indicator of trader’s fear. “Generally speaking, if traders are fearful of volatility in the crypto market and want to reduce exposure, the default option at many exchanges is to hold the money in USDT… To be clear, this is neither a bullish nor a bearish signal, it just means that traders are taking their foot off the gas for a bit,” he explained. At the time of writing, Ethereum is trading up just under 1% at its current price of $105.72. ETH has not yet dropped below $100, which appears to be a level of support for the cryptocurrency. 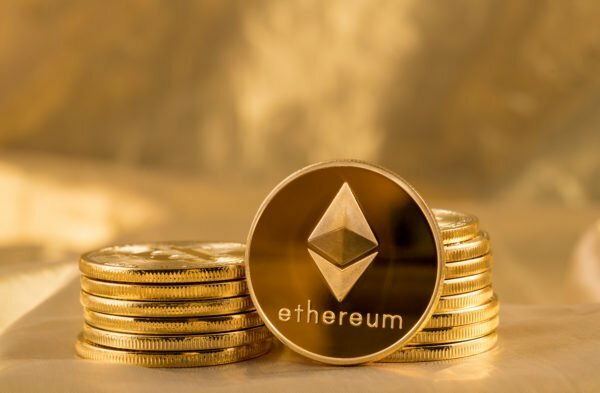 Ethereum (ETH) has found support around $100. XRP has dropped marginally today and is currently trading at just under $0.29. XRP previously had some support around $0.31, but it is likely that it won’t see significant support until it reaches its 2018 lows that are set around $0.25. EOS is one of today’s best performing major cryptocurrencies, as it is currently trading up 2.5% at $2.28.